The ‘poultry and egg’ industry includes Turkey Breeder Farms or Turkey Hatcheries that produce a supply of hatching eggs and turkey poults (day-old turkeys) to meet the needs of turkey farms. 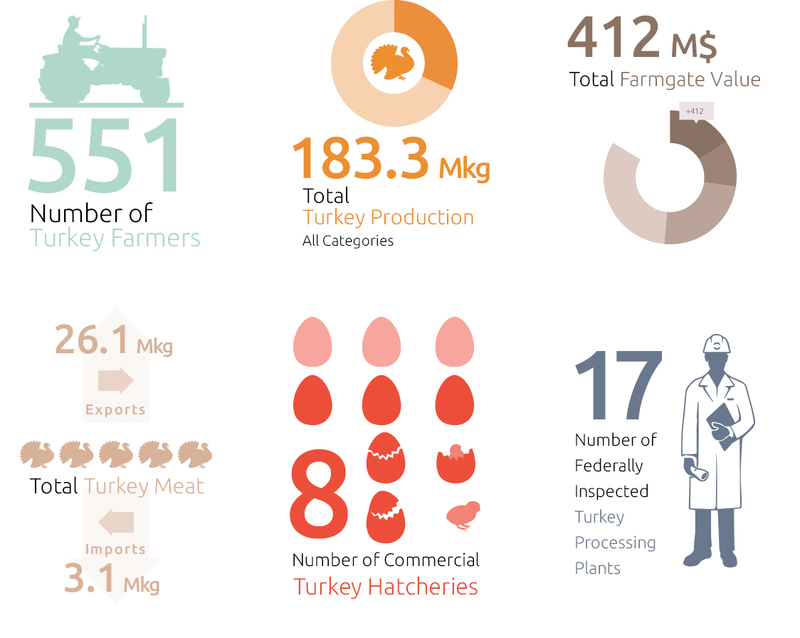 In Canada, there are eight commercial Turkey Breeder Farms / Tukey Hatcheries that supply turkey poults to over five hundred turkey farms that operate under supply management. Canadians benefit by having access to a reliable supply of safe, affordable high quality Canadian turkey products. Turkey Breeder Farm Labourers perform a wide variety of tasks that depend on the type of operation. Turkey Breeder Farm Labourers assist with activities related to growing, raising, and harvesting livestock. Turkey Breeder Farm Labourers that gain experience and learn to perform more complex tasks and activities will become an experienced Worker. With more production experience and some training courses, they can become specialized in some aspect of turkey breeder production, or can become farm supervisors to manage a crew.